On the heels of the biggest fight card in MMA history, we are left with more questions than answers. 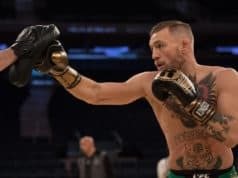 What’s next for Conor McGregor, and should Khabib Nurmagomedov be stripped of his lightweight title? LowkickMMA does not condone the actions of Khabib or anyone else that participated in the UFC 229 post-fight melee. But if we’re being honest, MMA is entertainment, and Saturday night was darn entertaining. With that being said, it’s unknown Khabib will be stripped of his lightweight title. He’ll almost definitely be suspended by the Nevada State Athletic Commision (NSAC) and face a significant fine. Depending on the length of the suspension, that could force the UFC to strip the Dagestani champion. There will be those who claim that Khabib’s leap into the crowd at UFC 229 wasn’t even close to what McGregor did during his infamous bus attack this April. In terms of pure danger to human life, it wasn’t. But in the eyes of the commission, Khabib’s act was during a sanctioned fighting event, and that never goes well. The UFC obviously has to adhere to their decision. 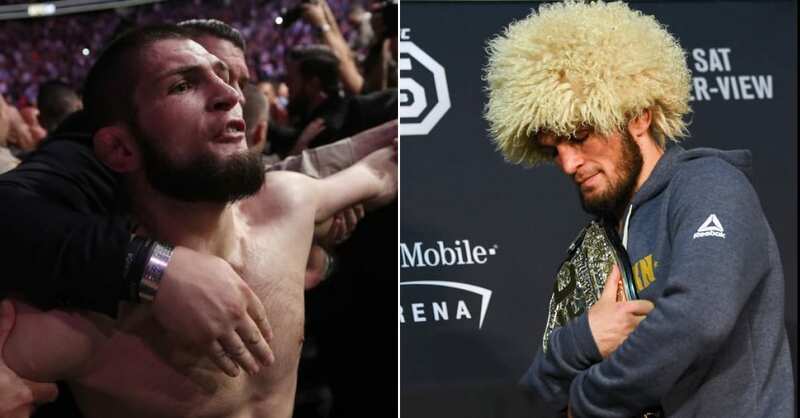 It’s a bad look for Khabib, the UFC, and the commission involved, so there are some valid reasons Khabib could and even should be stripped of his title. You may not agree with these reasons. All we can do is wait and see what the commission does when the incident investigation is heard in November. Ok, this one is a gimmee, and not just because I mentioned it either. Any reasonable person who understands the levity of the situation understands Khabib is going to be disciplined in some form or fashion. The most obvious of all punishments seems likely to be a fairly significant suspension levied from the NSAC. If this happens, there is a good chance “The Eagle” will be grounded for some time. Moreover, UFC President Dana White recently stated he believes a fitting punishment would be a fine of $250,000 and a suspension ranging from four to six months. Four to six months seems a bit on the light side considering Khabib usually only fights around twice a year anyway. However, if the NSAC does hammer Khabib as some people think it will, it’s entirely possible the UFC relieves the Dagestani of his title.